There are so many things to love about knitting. I like to think of my various creations as wearable art. While this may seem a bit conceited, I think you should all think of your knitting the same way! Even if two knitters have the same needles, yarn, and pattern, there are no two knitted items alike. Knitting is unique. Sometimes this drives people crazy, they often ask me why their knitting doesn’t look like the picture on the pattern, like their friends knitting, like my knitting, etc. There is no one answer to this questions. Knitters are as unique as their knitting, love it or hate it, it’s true. Knitting is not only unique and practical (we do need knitwear, weather or not we need hand knitted garments is a debate for another day, I would obviously argue we do) but it is also beautiful. Knitting is art. That was quite the lofty look at knitting….. perhaps there is a lighter side? 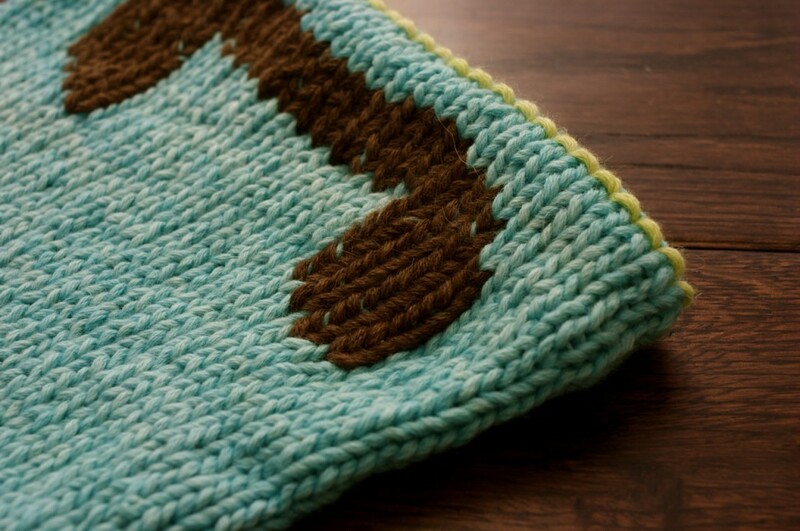 Rest assured you don’t need to stew over the artistic integrity of your knitting at all times. Sometimes you need a comical knit! I once knit my brother an electric orange acrylic ribbed toque for his ‘Life Aquatic’ obsession. It makes me laugh every time I see it, he looks terrible in orange. Actually, anyone would look terrible in that particular shade of orange….Knitting ‘The Dude’ was also a little comical to me at least. 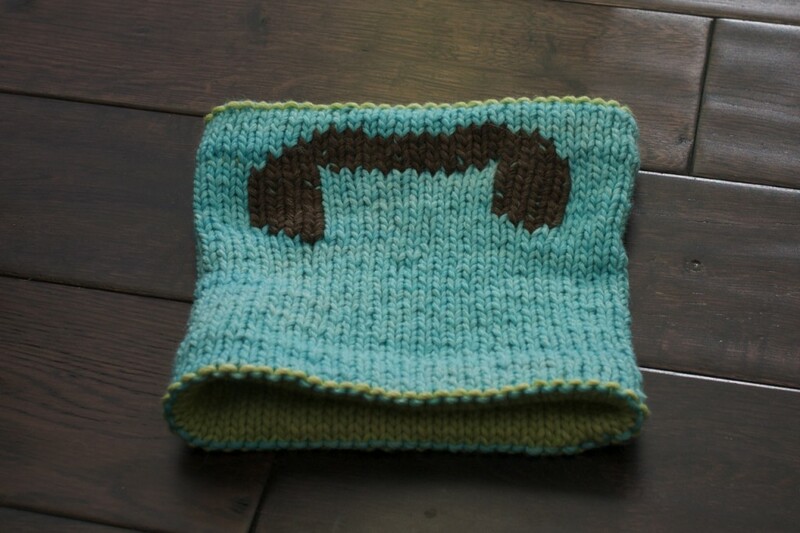 I often see knits that make me laugh and the mustache cowl fits the bill. It’s even called Incognito, who could resist a chuckle? Who can resist poking a little fun at a mustachio? Especially one as hilarious as the ‘Buckaroo’! I knit this little joy out of Louet Worsted for the main and contrast colours with the mustache done in a little Blue Sky Alpacas Worsted Hand Dyes I had left over from a mitten project. The Louet Worsted is a machine washable yarn that has just come into the shop in some cute springy colours. I used a Robin Egg blue and Minty green. 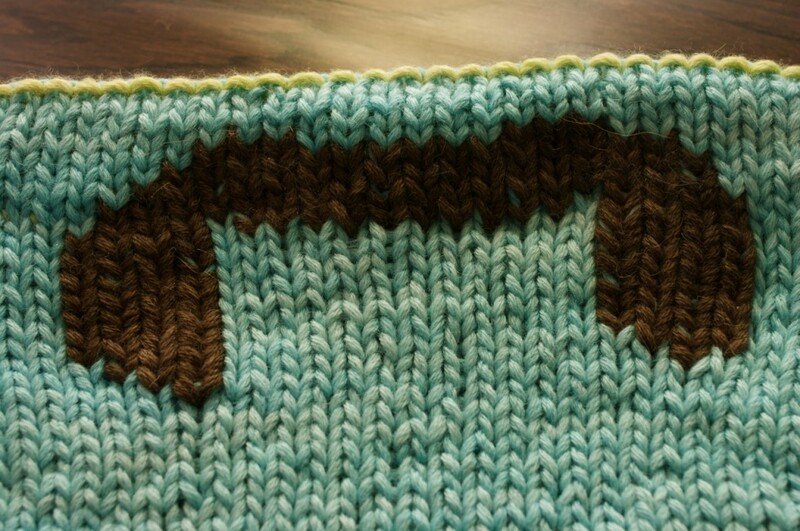 The mustache is done in a double stitch technique (NO FAIR ISLE! ): for this I used a great tutorial I found here. I knit the medium size. Here you can see the inside of the cowl. 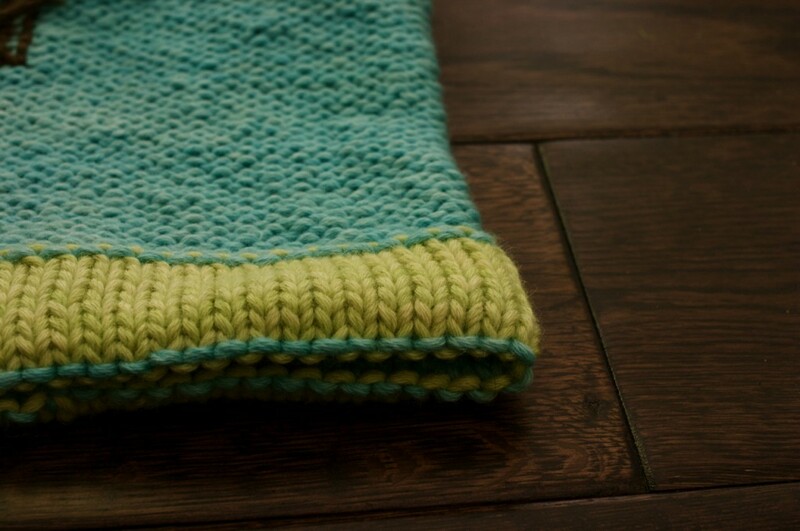 I knit the ‘tangy’ version of the cowl which has a nice little detail in the hint of green showing at the top and bottom. The double thickness at the top and bottom is nice as well, keeping everything cozy. This entry was posted on Monday, March 15th, 2010 at 11:50 pm	and is filed under Uncategorized. You can follow any responses to this entry through the RSS 2.0 feed. Both comments and pings are currently closed.